With Lords of Chaos now playing in limited release, we’re reposting my interview from last year’s Sundance Film Festival. 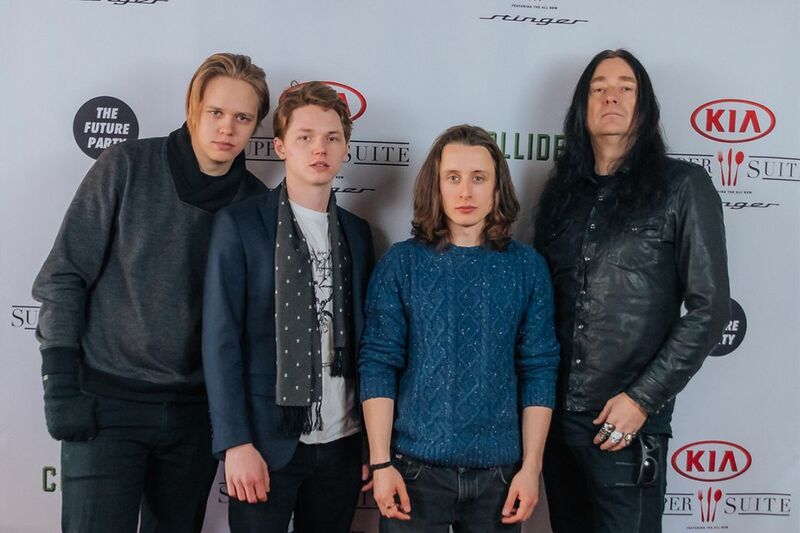 One of my favorite films at this year’s Sundance Film Festival was writer-director Jonas Åkerlund’s Lords of Chaos. I walked into the Sundance screening knowing very little about the film, other than it was based on a true story that came out of the Black Metal scene in Oslo, Norway in the 1980s. About two hours later, I came out extremely impressed by the performances, direction, and the film on the whole. Unlike some movies that feel like they are taking liberty with the people involved in the story and creating drama just for the sake of high stakes, Åkerlund’s direction makes you feel like you are in the room watching the events unfold in real time. I actually had to turn away from the screen at times because it felt a bit too real. If the synopsis and story interests you, then trust me when I say this film will not disappoint. Shortly before seeing the film I got to speak with Jonas Åkerlund, Rory Culkin, Jack Kilmer, and Valter Skarsgård in the Collider Studio at Sundance. They talked about what was it about the story/script that got them involved, if it was tough to get made, how they like to work on set, memorable moments from making the film, how they only had twenty three days to shoot, what Åkerlund learned from early screenings, and they even played get to know your Sundance attendee which includes fun questions like what’s the last show they binged and favorite recent movie. Finally, a huge thank you to everyone at Kia and The Future Party for helping to make these interviews happen at the Kia Supper Suite and offering up transportation in the all new Kia Stinger high performance Sportback for our guests. We’d also like to thank Altec Lansing, Kunde Wines, Blue Moon Brewing, and Topo Chico for their support. What about the material made it a story they had to do? How hard was it to get made? How did the actors get involved with the film? What attracted them to the script? How long was the first cut compared to the finished film? What they learned from the screening process. Do they prefer to do a lot of takes or try to nail it in a few? ​What are their most memorable moments from film? Talk about making the film in 23 days. They play get to know your Sundance attendee.